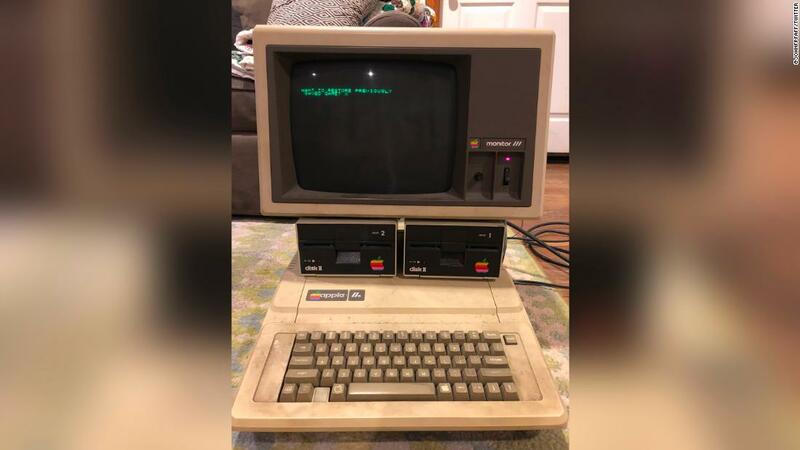 John Pfaff dusted off the old computer that has been sitting in his parent's attic for decades, and to his surprise it is turned on. "Put an old game disk. Asks if I want to restore a saved game And finds one !, "he tweeted. "It must be 30 years old. I'm 10 years old again." "What shall I do next," reads the prompt on the screen. "This is tricky because three decades later I can't quite remember where I left this round of adventureland. " 986, when I was 11 and at summer camp, "he tweeted. "My dad passed away almost exactly a year ago. It's amazing to come across something so 'ordinary' from him." Pfaff showed off the vintage system to his own children and their reaction is what you expect from a generation that has moved on to an iPhone X. "My oldest, who is 9, exclaimed" that's a computer ?! "a genuine surprise, and then pointed to the floppy drives and asked" what are those? " just kept laughing at how silly it seemed to them. "